The paper explores the concept of an entrepreneurial university. It has its rationale in the growing focus of public policy, not only in the UK but also in Europe, North America and globally on enhancing the role that the Higher Education sector might play in social and economic development. It pursues the objective in a number of stages. First, it reviews the nature of the pressures upon the sector linked with globalisation and the resultant creation of greater uncertainty and complexity for individuals and organisations in social and economic life. Second, it briefly traces the history of policies from the 1980s onwards aimed at influencing the relationship between universities and the market and the changing imperatives. It notes that there has been a lack of consistency and commitment over time, which has limited the impact. Third, to explore the basis for argument for more sustained policy development, the paper reviews, very briefly, the evidence in support of the case for linking Higher Education with entrepreneurship and growth in competitiveness. It concludes that there is a case to be made but that much of the supporting data is not strong. There is also a notion missing as to what fundamental institutional changes are required over time to achieve this link. 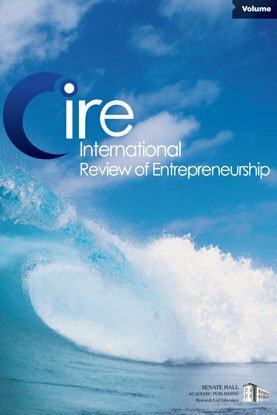 Fourth, to address this issue, the paper considers international, in particular US experience, as it relates to the issue of extending entrepreneurship education across the university and discusses some of the conceptual issues in this respect. Fifth, it attempts to summarise the key components of what might be said to constitute an entrepreneurial university. Finally the paper considers the role of foundations in the US in providing a sustained input into the process of change, something that has been arguably missing in the UK, and then it makes a number of recommendations for action.